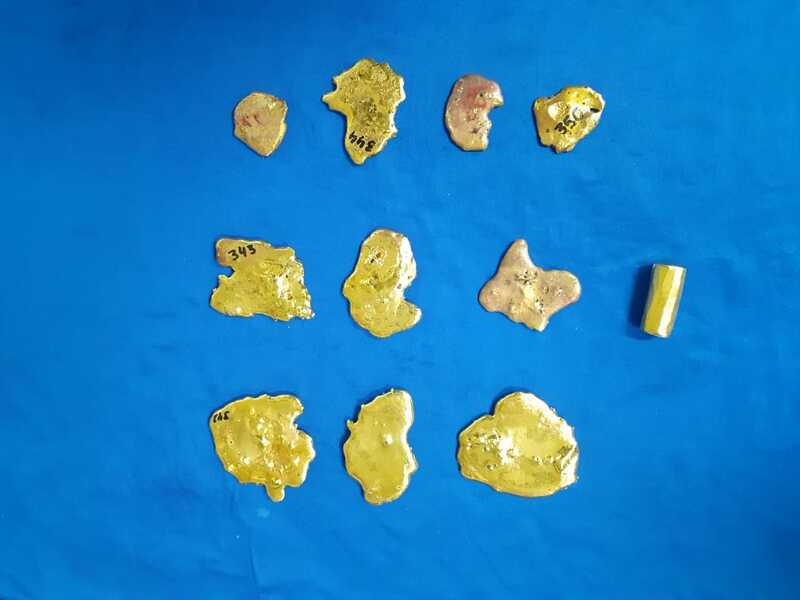 Chennai (Tamil Nadu) [India], Apr 12 (ANI): Customs officials have seized 4.33 kg gold worth Rs 1.43 crore at the Anna International Airport from more than a dozen persons between Thursday night and Friday morning. Chennai (Tamil Nadu) [India], Feb 2 (ANI): A one-month-old leopard cub was rescued from the baggage of a passenger at Chennai International Airport. New Delhi [India], Jan 6 (ANI): Four flights made an emergency landing in the last 24 hours. All passengers on the flights are safe. Bengaluru (Karnataka) [India], Jan 6 (ANI): At least 50 flights scheduled between 6 am to 9 am were delayed due to foggy weather in Bengaluru on Sunday, leaving passengers stranded for hours. Bengaluru (Karnataka), New Delhi [India], Dec 22 (ANI): 35 flights departing from Bengaluru and 13 coming into the city were delayed on Saturday morning as thick fog lowered visibility. Chennai [India] Nov 5 (ANI): A major mishap was averted at Chennai Airport after an IndiGo flight (6E 7124) operating on Rajahmundry-Chennai route developed a technical problem during the final approach while landing at the Chennai airport last evening. Chennai (Tamil Nadu) [India], July 9 (BusinessWire India): The next time you are at Chennai International Airport, do drop by the Frshly outlet. It's the proud global winner of the prestigious Airport Food and Beverage (FAB) awards 2018, for New Food and Beverage Concept of the Year. New Delhi [India], May 2 (ANI): The Union Cabinet on Wednesday approved a sum of Rs. 5,082 crore for the purpose of up gradation and expansion of the airport infrastructure at Lucknow, Chennai, and Guwahati airports. New Delhi [India], Feb.28 (ANI): Senior Congress leader and advocate Abhishek Manu Singhvi on Wednesday raised question over the 'sudden arrest' of the former Union Finance Minister P Chidambaram's son Karti Chidambaram. Chennai (Tamil Nadu) [India], Jan 13 (ANI): Flight services that were temporarily suspended due to smog have now resumed.